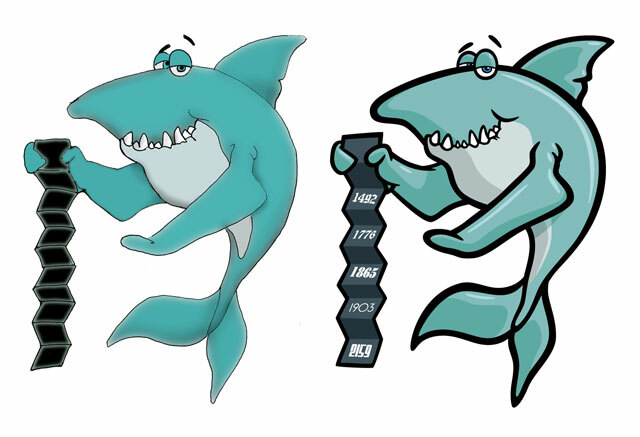 This shark cartoon character was a “character cleanup” project for a client. I was sent the shark character art on the left in the abpve image, and cleaned up the artwork in my style for the client. A few details were added to the character as well. Final vector art created in Adobe Illustrator CS6.